Qualcomm, the largest smartphone chipset manufacturer in the world, isn't having the best time right now, litigation-wise. Its troubles don't just stop at the raging battle it's having with Apple, though: it's also the subject of an antitrust investigation from the Federal Trade Commission, which claims the company is using its market monopoly to extort phone makers for higher royalties. 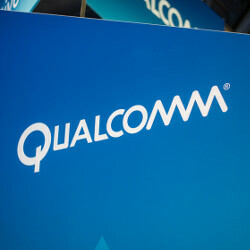 Last we heard of the suit, Qualcomm had filed a motion for it to be dismissed on the claim that the FTC had not "adequately defended its... complaint." The US federal judge presiding over the case, however, wasn't impressed by the motion, and has now dismissed it, letting the lawsuit continue. We look forward to further proceedings in which we will be able to develop a more accurate factual record and the FTC will have the burden to prove its claims which we continue to believe are without merit. Do note, however, that this does not at all prove Qualcomm is guilty. In fact, we'll be witnessing quite a lengthy process in the future: antitrust suits aren't exactly known for their blazing fast speed. So this, combined with the much-publicized Apple vs. Qualcomm battle, both paint a picture of a particularly litigious near future for the chip maker. The FTC should get a life, already. Bringing up pointless lawsuits to threaten and extort successful companies. But the FTC does have a point: Qualcomm has pretty much a monopoly on chipsets found in devices. Samsung is unable to sell their Exynos chipset in the US due to Qualcomm licensing. They were also found to be overcharging manufacturers like Blackberry by almost $1 billion.